Fantastic golf course community! 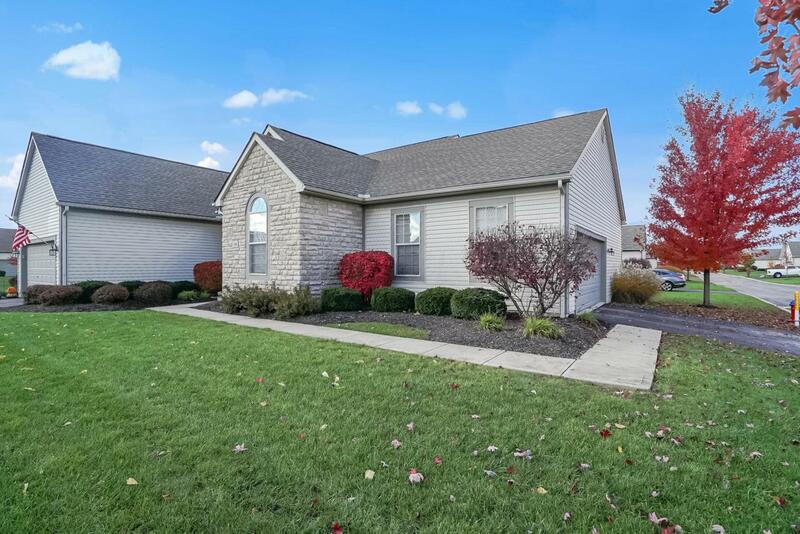 This pristine ranch condo is move in ready! Newer bamboo floors ('15). Lovely, all white Kitchen w/ plenty of counter space, a new garbage disposal, pantry and 42'' cabinets. The Kitchen also has newer SS appls ('16), a breakfast bar that seats 4 & attractive ceramic tile floor. There is a formal Dining Rm, vaulted GR w/ a gas fp and an all-season Sun-room that offers flexible space. FF vaulted Owner's Suite w/ new carpet ('18) & an attached full Bath. Add'l BR and a hall Bath. FF Laundry. Security System. Large basement & a capped crawl space, provide storage or area for expansion, if needed. Brand new furnace & newer AC unit & hot water tank. Nice rear Patio and a 2 car Garage. Must see to appreciate all this home has to offer!